Islamic State militants in Libya are learning how to fly commercial jets in large simulators imported from abroad, according to reports from Arabic media. ISIS is reportedly training pilots in the Libyan city Sirte using large and comprehensive flight simulators, Libyan officials told an Arabic daily Wednesday according to Ynetnews. 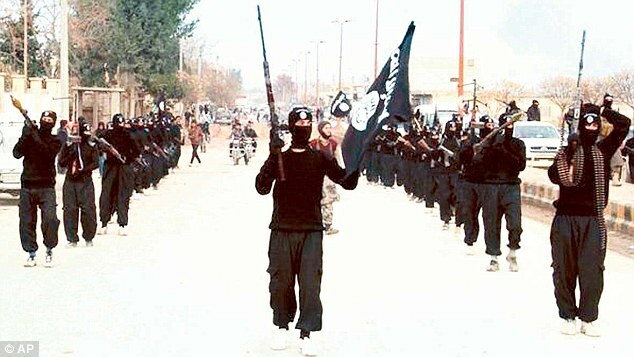 ISIS has an estimated 3,000 fighters in Libya and has controlled Sirte for several months. “The simulator is about as large as a small car, and simulates every facet of flight including air-to-ground communications,” the sources said. A group of ISIS commanders reportedly obtained the simulator in October and have at least one other simulator, which they are using to train fighter pilots. If ISIS strengthens its hold in Sirte, it could gain direct access to the Mediterranean and southern Europe. Hier mogen wij ons ook serieuze zorgen maken om dit nieuws, als het een civile training betreft zal het misschien gaan om straks burgertoestellen te kapen en als bom te gebruiken, als het militaire flichtsimulator betreft is het misschien voor buitgemaakte toestellen te bemannen voor de strijd in het MO. Nog maar even afwachten op verdere berichtgeving. Ik vraag me af waarom Foly wel is onthoofd en Henén niet. Vind het vreemd.